Screenshot/MySpaceA photo of Omar Mateen taken from his MySpace page. The man police say killed 49 people at a gay nightclub in Orlando early Sunday morning had visited the club at least a dozen times before carrying out his attack, a witness told the Orlando Sentinel on Monday. The suspected shooter, 29-year-old Omar Mateen, may have also used several different gay dating apps, according to reports from MSNBC and the Los Angeles Times. Three additional witnesses confirmed that they had seen Mateen at the gay nightclub more than once before. “Sometimes he would go over in the corner and sit and drink by himself, and other times he would get so drunk he was loud and belligerent,” one witness, Ty Smith, told the Sentinel. Smith and Callen say that they stopped talking to Mateen when he pulled a knife on them after they made a religious comment. “He said if he ever messed with him again, you know how it will turn out,” Callen said. Reports of Mateen’s flashes of anger and aggression align with what Mateen’s ex-wife, Sitora Yusufiy, told CNN on Sunday night. She told reporters earlier on Sunday that Mateen had beat her and emotionally abused her while they were married between 2009 and 2011. An Orlando man told MSNBC’s Chris Hayes on Monday that he had seen photos of Mateen on the gay dating apps Grindr, Adam4Adam, and Jack’d over the last several years. At least two of the man’s friends had been contacted by Mateen on the apps. “He was very creepy in his messages, and I blocked him immediately,” the man said. Kevin West, another regular at Pulse nightclub, told the Los Angeles Times that he chatted with Mateen on and off for a year on the gay dating app Jack’d, but had never met him in person. Incredibly, West said he met him for the first time as he was dropping a friend off at Pulse on Saturday night. A regular performer at Pulse told CNN’s Anderson Cooper that he saw Mateen there a couple times a month, often with another man. The reports come after Samuel King, a drag queen, told The Daily Beast that he had befriended Mateen while the two worked next door to each other in Fort Pierce. King said that Mateen had seemed generally accepting of the fact that he and his friends were openly gay. King said that he even recalls Mateen going at least once to the nightclub where King performed. Mateen, a US citizen born in New York in 1986 to two Afghan immigrants, was living in Fort Pierce, Florida, when he rented a car and drove to Orlando to carry out the attack on Sunday morning. An FBI representative said that he “was organised and well prepared” for the attack, and the ATF confirmed that he was armed with an AR-15 assault-style rifle and a handgun that he had legally bought a few days before. Mateen was a security guard and had a Florida firearms licence that allowed him to carry concealed weapons. He called 911 during his rampage at Pulse and pledged allegiance to ISIS, while also expressing sympathy for the Boston Marathon bombers and an American suicide bomber who died fighting for Al Qaeda in Syria. The overnight shooting at the gay nightclub is the deadliest shooting in US history, with more fatalities than the mass shooting at Virginia Tech in 2007 (32 dead) and the mass shooting at Sandy Hook Elementary School in Newtown, Connecticut, in 2012 (27 dead). 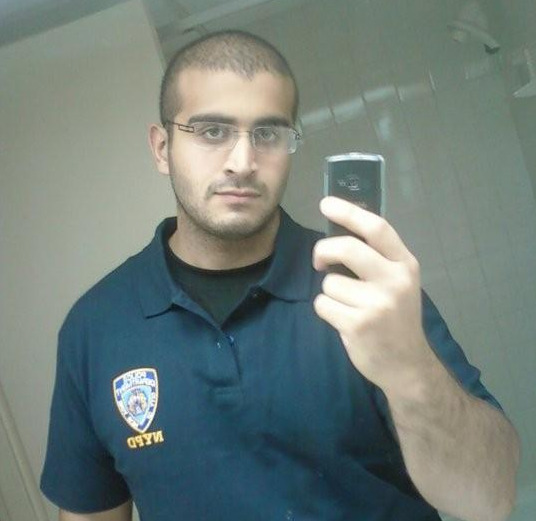 Mateen was the subject of two separate FBI investigations in 2013 and 2014 — the first after he made inflammatory and contradictory statements about terrorism that raised concern with his coworkers, and the second after a source close to the FBI indicated that he may have had ties to the American suicide bomber who prayed at his mosque in Fort Pierce. The director of the FBI, James Comey, said on Monday that Mateen had mentioned having links to Al Qaeda, Hezbollah, and the ISIS in the past three years, but that the FBI investigations were closed because of a lack of evidence.